The paper "Design and Implementation of a Learning Analytics Toolkit for Teachers" has been published in the Journal of Educational Technology and Society (Vol. 15, Issue 3). The paper can be downloaded here. Learning Analytics can provide powerful tools for teachers in order to support them in the iterative process of improving the effectiveness of their courses and to collaterally enhance their students’ performance. In this paper, we present the theoretical background, design, implementation, and evaluation details of eLAT, a Learning Analytics Toolkit, which enables teachers to explore and correlate learning object usage, user properties, user behavior, as well as assessment results based on graphical indicators. The primary aim of the development of eLAT is to process large data sets in microseconds with regard to individual data analysis interests of teachers and data privacy issues, in order to help them to self-reflect on their technology-enhanced teaching and learning scenarios and to identify opportunities for interventions and improvements. Dyckhoff, A. L., Zielke, D., Bültmann, M., Chatti, M. A., & Schroeder, U. (2012). 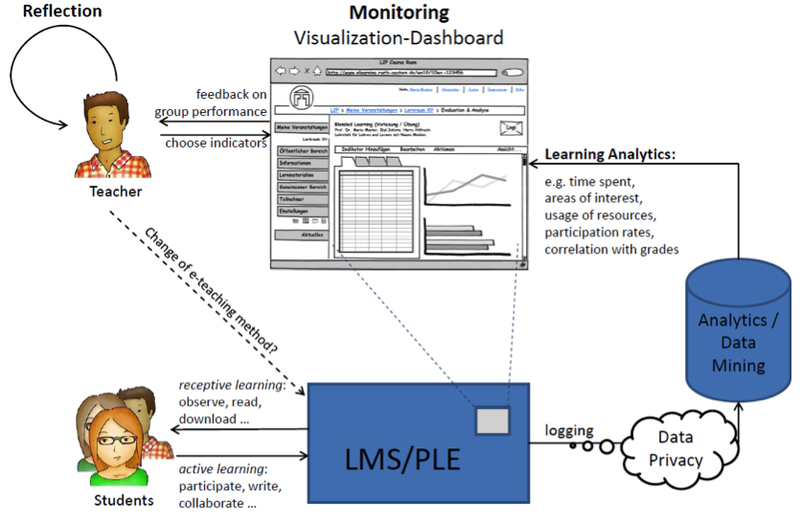 Design and Implementation of a Learning Analytics Toolkit for Teachers. Educational Technology & Society, 15 (3), 58–76.